Congrats on your Initial Order! Now use the Goal Getter Card to keep up your momentum. Hi Marina, congratulations on turning in your Initial Order, you are one step closer to reaching your BOLD cookie goals! Keep up the momentum while prepping for cookie booths with these tips. 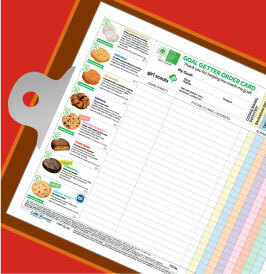 You may have turned in your initial cookie orders, but you can continue to ask people to support your business in person with the Goal Getter Order Card. The 2019 cookie season will be the last chance to enjoy Savannah Smiles. Encourage customers to stock up on their favorite lemon cookie. When delivering to pre-order customers, see if they want to purchase a few more boxes while you have cookies in-hand. 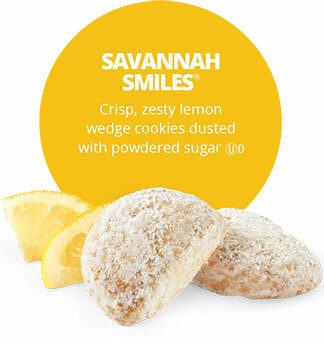 When at your cookie booth, let customers know that this is Savannah Smiles last season; which is a great chance to upsell. Look for exciting product announcements for the 2020 cookie program later this season.